To begin with, put the salmon in the freezer for 10 minutes so you can easily cut the salmon afterwards. 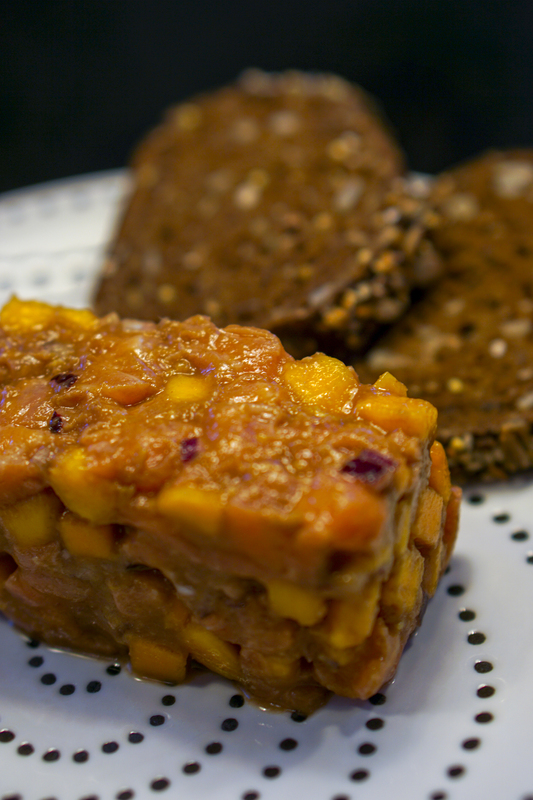 For the mango you need a ripe mango but still firm, peel and cut the mango into cubes and reserve. Peel and cut the red onion into small cube and set aside. Cut in medium sized cube the salmon and reserve. In a large bowl mix together the mango, onions, salmon and tamarind concentrate. Grate the ginger on this mixture, add salt and mix. Taste and rectify the taste if needed. Serve with salad or bread as a starter or a main dish. A light and fresh dish easy to make.